* These delicate wholesale earrings by Mariell offer a sparkling accessory to any wedding or bridesmaid gown with understated sophistication. 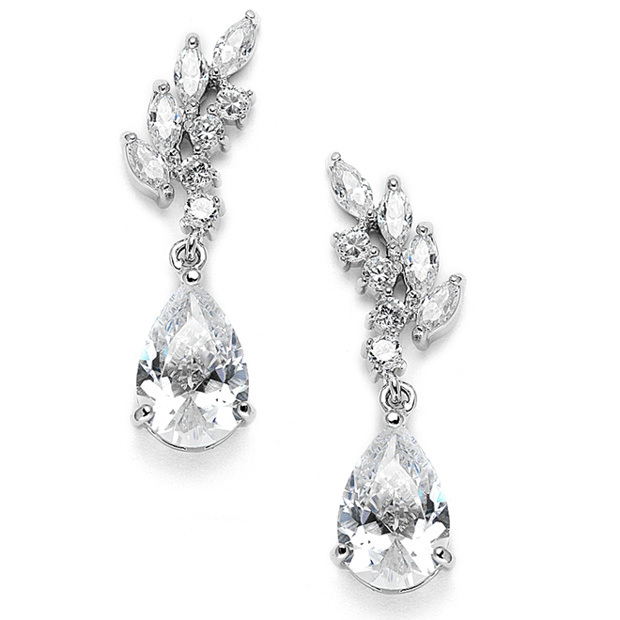 * Our beautiful 1 3/8" h x 3/8" w earrings boast baby marquis and round stones on the top and a lustrous pear teardrop at the bottom. * These attractively priced top selling earrings have wide appeal to your special occasion customers and will be reordered over and over! * These well priced earrings will enhance your wedding or special event.